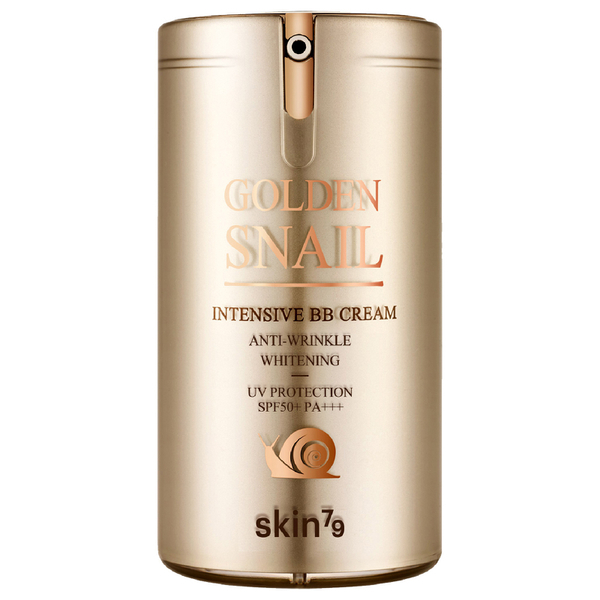 Perfect your complexion with the Golden Snail Intensive BB Cream SPF50 PA++ from innovative Korean skincare brand Skin79. Balancing a careful selection of patented ingredients and plants, the tinted moisturiser delivers a triple-action formula that seeks to combat signs of premature ageing, intensively hydrate and shield against harmful UV rays. Suitable for all skin types, the advanced formula contains a Golden Snail Multi Complex; renowned for its reparative properties, with Snail Mucus Filtrate helping to repair damaged skin cells and replenish moisture levels for a smooth and softened texture. Enriched with extracts of Red Ginseng and Yam Root, redness and imperfections appear corrected and skin looks revitalised and flawless.